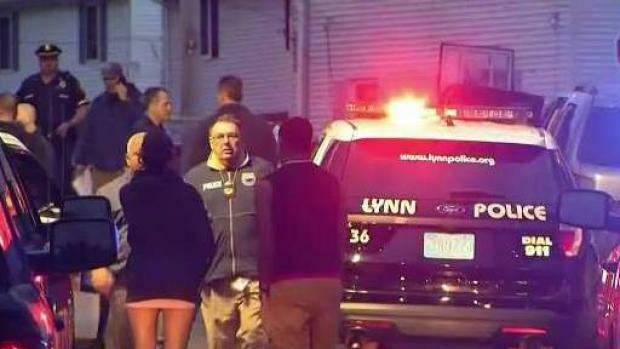 A triple shooting in Lynn early Saturday morning left Romel Danis, a 25-year-old male from Lynn, dead and two others injured. 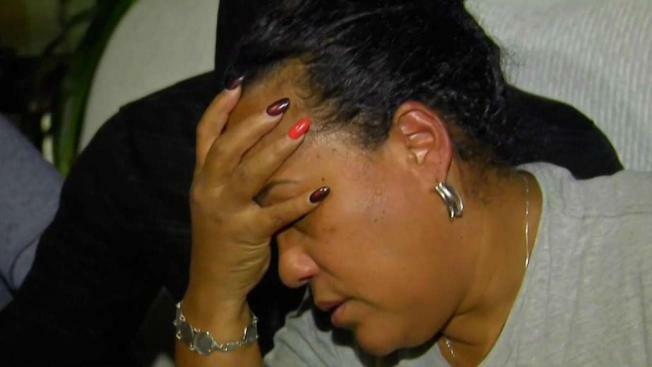 Pastora Silverio, Danis's mother, is mourning the loss of her son. "He was a good boy with me," Silverio said. "He did everything for me." New surveillance video shows that Danis was out at a party before the shooting. Family and friends of Romel Danis gathered to mourn his death on Saturday afternoon. He was shot and killed early Saturday morning. "He said, 'Mommy I'll just stay one hour and a half and come back quickly. Don't worry about it,'" Silverio said. The surveillance video shows the moment fire erupted. A man in a white shirt seeks cover behind a truck as the gunman runs across the street. According to Silverio, a family friend knocked on her door Saturday morning to tell her what had happened. "I said, 'Go check in the bed,'" Silverio said. "And they said, 'No he's not here. I think somebody shot your son.' I said, 'No. Oh my god don't say that to me.'" Danis's family members gathered on Saturday afternoon, setting up a memorial on the street where he was killed. His loved ones said he was a great young man. A triple shooting in Lynn early Saturday morning left one 25-year-old male dead and two others injured. The Essex District Attorneys Office, the Essex State Police Detective Unit and the Lynn Police are investigating the fatal shooting in the area of 65 Lawton Avenue in Lynn. "He left an impression on everybody's heart everywhere he went with his heart," said Michelle Lestrad, Danis's mother-in-law. "He was a great person. He had good ambition, and everywhere he went, he left his mark." His family cannot believe Danis is gone. "He was a good kid. He had no bad in him. Nobody hated him. This is just tragedy," Lestrad said. "We're always gonna remember his craziness. He was a silly guy. He was funny," Lestrad said. "He left a big family, a beautiful family, that cares about him a lot." Now, his family will continue to celebrate Danis's life and what they know he wanted for them. "Everybody to love each other. Put all problems aside. Just love each other for who you are," said Danis's best friend, Luis. At approximately 2 a.m., Lynn Patrol officers were responding to complaints of loud music at a party when they heard shots fired around the corner. They responded and found Danis deceased and two others suffering from gunshot wounds. The two men were transported to Massachusetts General Hospital with serious injuries - one of the victims' injuries appeared to be life threatening. At this time, it is unclear if the victims were at the party. Dozens of police lights lit up Lawton Avenue, caution tape highlighted the crime scene, and yellow evidence markers littered the road in Lynn early Saturday morning. People in the neighborhood shared their opinions on the triple shooting happening feet from their front door. "Honestly being in the city this type of stuff is getting kind of normal to hear stuff like this which isn’t too good," said John Marino who’s lived in the neighborhood for years. Most agreed there’s too much violence in this area. "It’s to the point that when is this enough? When can this be stopped? Its stupidness," said Leny Thomas a father of two. Investigators worked the scene for over 6 hours collecting evidence, talking to neighbors, and taking pictures. One lead police are looking into is Leny Thomas’ surveillance video that caught the whole shooting on camera. He let NBC 10’s Cassy Arsenault look at the footage but would not hand it over for broadcast since it is police evidence. 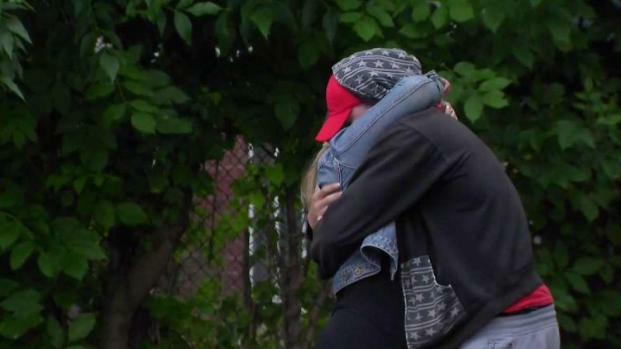 "You can see the kids walking to the car and out of nowhere you can see the shots and see the shots in the video—you can see the kids scrambling and trying to get into their car," said Thomas. Investigators collected evidence like a pit of shoes and jeans, towed two cars, and seemed to dig out an object from the side of one of the homes. As of Saturday night, the police are still looking for the shooter. A GoFundMe page has been started to cover the funeral expenses for Romel Danis. Click here if you'd like to contribute.